Golem is a platform based on the Ethereum blockchain that aims to create a distributed peer-to-peer supercomputer that allows participants to monetize their spare computing power. It accomplished this through establishing a system that allows users to rent out their available idle computing power to users who require greater power than their systems would otherwise lack the capacity of performing, or who would simply like speed up the processing time. The platform is open to individuals and group hosts such as institutions. Users subscribe to Golem’s platform thereby acquiring the opportunity to either rent out their excess resources (aka providers), rent other user’s resources to perform tasks (aka requestors) or to program and implement new software and applications for the platform (aka software developers). Users can also take on multiple roles, depending on their needs and computing availability. Requesters, such as CGI artists with major projects, issue requests on the platform to rent computing power from multiple nodes, and Golem then autonomously allocates these tasks to available nodes by breaking down the required tasks into micro-tasks. In this way, the project gets rendered at a much faster rate, and for far less energy than it would usually require. Once complete, Golem takes note of all the provider nodes that were involved in the process and then enters them all into a randomized lottery. Whichever provider is selected is awarded the total payment amount from the requester. This mode of payment serves a dual function: namely, that it reduces the fees for the requester, and secondly, that it incentivizes the provider to participate in more tasks. Software developers are free to provide their software as a service on the Golem platform. In this way, the developers will be able to broaden the number of users of their product, while users will not have to invest the same amount as they would need to if they were to purchase the full product. In order to run their applications on the network, they will need to publish their software on the Application Registry. Once this is done, all users wishing to use these applications will need to form smart contracts with the developer. These smart contracts will then automatically verify and fulfill the terms of the contract. This will provide security for both the developer and the requester, as both will know that the other person has the software or finances necessary to carry out the terms of the contract, and that these terms will definitely be transacted. Validators – Review and test the applications. Only once the applications are approved, are they submitted to the validator’s whitelist. Applications found to be dangerous content will be blacklisted. Providers – are responsible for making the applications accessible to users on the platform, as well as monitoring use and transacting on behalf of the author. They can choose which validators to rely on and can also test applications themselves to add to their own whitelists and blacklists. Furthermore, Golem is a decentralized, blockchain-based system, which means that it is globally accessible. The use of the GNT cryptocurrency as a means of exchange also eliminates payment constraints. These factors will allow users in countries with a less developed infrastructure to have access to tools which would potentially be out of their reach or financial situations. GNTs are used as the mode of currency on the Golem network, meaning that all transactions and fees are made out with this currency. They will also serve a number of other functions such as payment for software reviews and use. 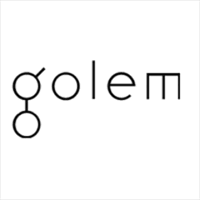 As of February 21, 2018, Golem had a market Cap of around $296 Million USD, with a unit value of approximately $0.36 USD. January 24, 2018 – Golem launches Brass Golem Alpha2 0.11.0. November 28, 2017 – Golem launches Brass Golem Alpha2 0.9.1.